The sessions, which focus on people aged 14 to 25, will get going early this year and will include female only activities, boot camp classes, basketball, football, dance, athletics and youth take over nights at local leisure centres. 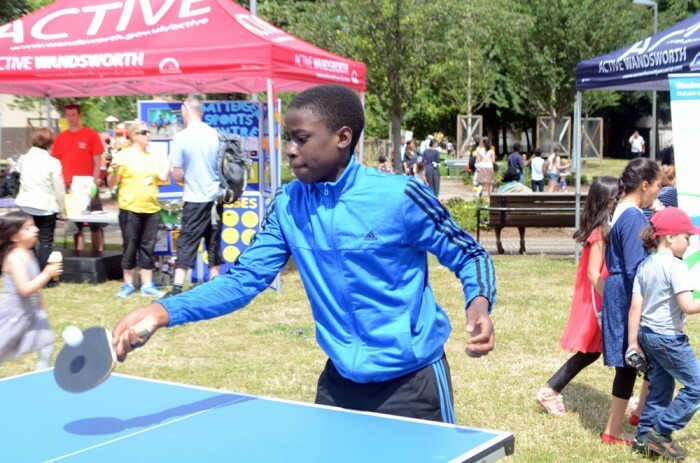 The initiative aims is to give local young people the chance to try a range of new sports, make new friends, get fit, have fun and learn new skills in the process. The programme was designed by young people living on the estates who took part in surveys and workshops earlier this year. The bid for Sport England funding was submitted by Enable Leisure & Culture which runs sports services on behalf of Wandsworth Council. The total cost of the programme is expected to be around £225,000, with the remainder coming from the council and local partners including Carney’s Community and Places for People Leisure. “This is fantastic news and I want to thank Sports England for their support. It means the young people living on these two Battersea estates will have access to a superb range of high quality sports activities for the next three years. Enable Leisure and Culture managing director Paul McCue said the project was exactly how Enable’s leisure and sport team like to work. An ‘expert alliance’ of stakeholders including local facilities, youth clubs and the Enable sports team will oversee the delivery of the programme. For further information please call 020 8871 8357 or email activelifestyles@enablelc.org.